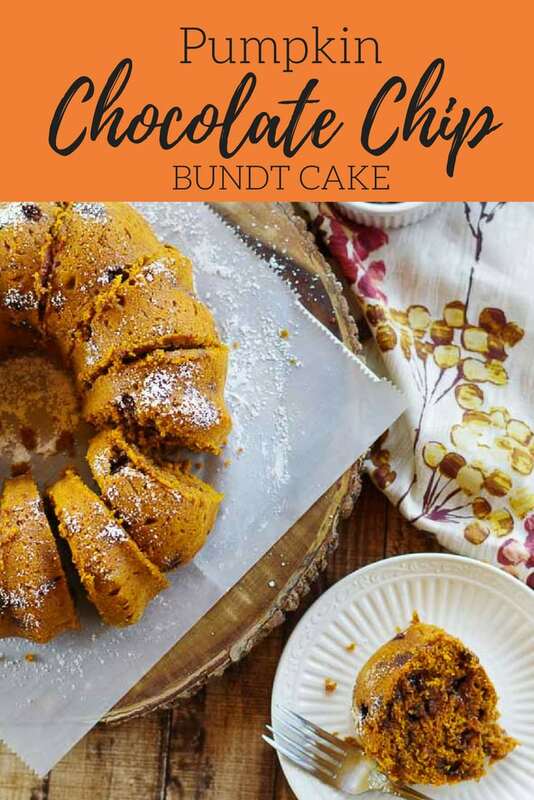 Pumpkin Chocolate Bundt Cake – Pumpkin and chocolate come together in this moist and delicious fall dessert. Perfect for any party or holiday table! We are headed to the neighbor’s house for a traditional Bengali dinner and I offered to bring dessert. Hot and spicy calls for the right dessert. Something sweet. Something with chocolate. Something that goes well with Bengali cuisine. Pumpkin for dessert pairs well with our main course, beef curry. 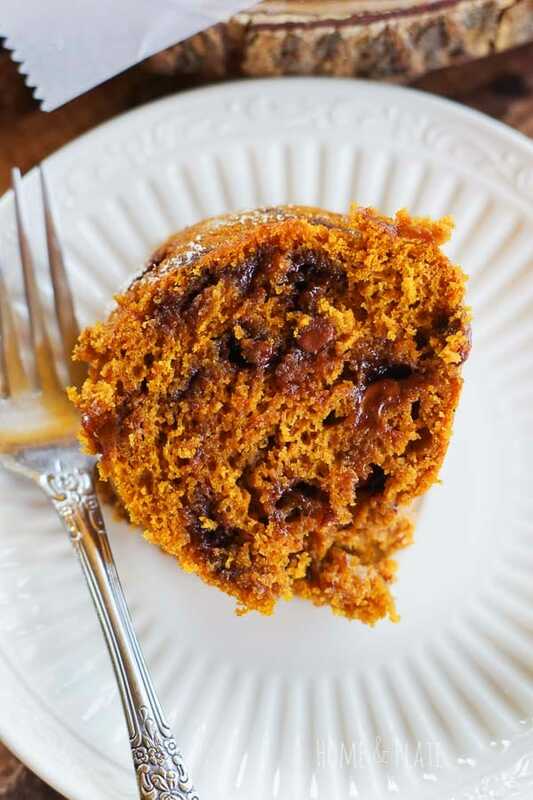 The nutmeg and cinnamon help bring out the flavor of the pumpkin and the chocolate in this delicious pumpkin chocolate bundt cake. Eat it right out of the oven or sprinkle with a little powdered sugar. My kids even love this cake with a drizzle of salted caramel topping. My indulgence is adding a scoop of vanilla or cinnamon ice cream on top. Delicious! 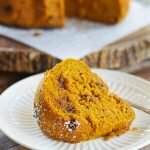 This recipe also bakes well in a loaf pan or in muffin tins and hits the spot for breakfast or even as a late afternoon snack. 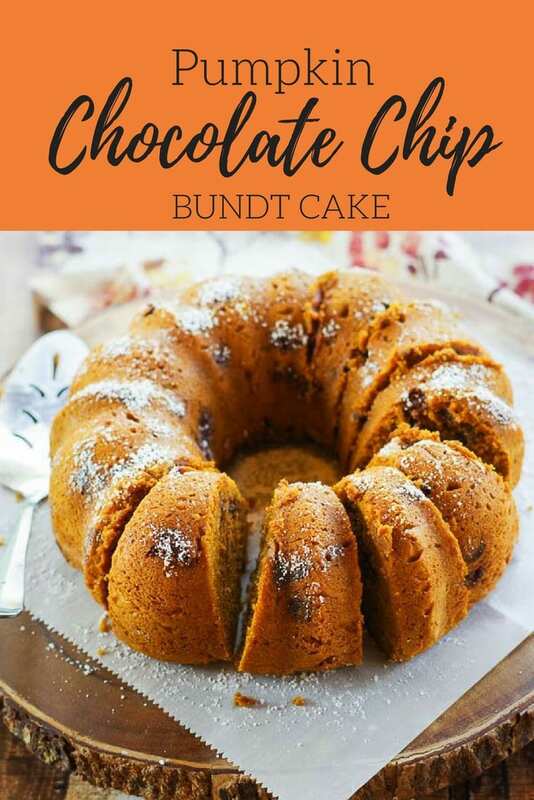 Pin this recipe on your Fall Recipes Board to save for later! 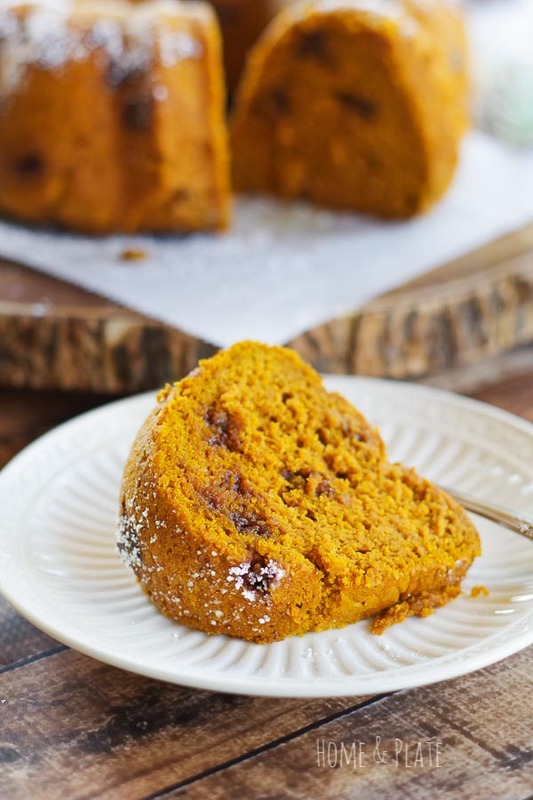 Pumpkin and chocolate come together in this moist and delicious fall dessert. Perfect for any party or holiday table! Preheat the oven to 350 degrees and use cooking spray to coat the interior of a bundt pan. Pour the mixture into a bundt pan and bake for 45 minutes or until a fork inserted deeply comes out clean. There will be gooey spots of chocolate throughout the cake and that is normal. Serve as is or with a side of vanilla or cinnamon ice cream.